The Note: Trump on the ballot, everywhere? Trump’s push to put himself on the ballot puts his style of politics everywhere. The GOP midterm slate hasn't been hijacked by an army of Roy Moores and Don Blankenships and Kelli Wards, to name three failed Senate candidates who pledged loyalty to President Donald Trump. But Trump's push to put himself on the midterm ballot nonetheless puts his style of politics everywhere – and potentially on the ballot, too. In Florida, his hand-picked candidate for governor launched the first day of his general-election campaign by warning Floridians that the "last thing we need to do is monkey this up." His African-American opponent called it a "bullhorn" instead of a "whistle call," and said he took a "page from the campaign manual of Donald Trump." Trump said he didn't hear the comments. But his own words and own conduct speak loudly enough. The president campaigns in Indiana on Thursday for the first time since telling evangelical leaders earlier this week that Democrats would "overturn everything that we've done and they'll do it quickly and violently." He consistently called for rewriting NAFTA, and during the 2016 presidential campaign he bashed his opponent for supporting the initial trade deal. In fact, it was always one of the biggest applause lines during Sen. Bernie Sanders' campaign stump speeches. Fast-forward to today – and President Trump's insistence on being tough on two of America's closest trading partners arguably puts him more aligned with the independent Democratic Socialist senator than with traditionally free trade-minded Republicans. 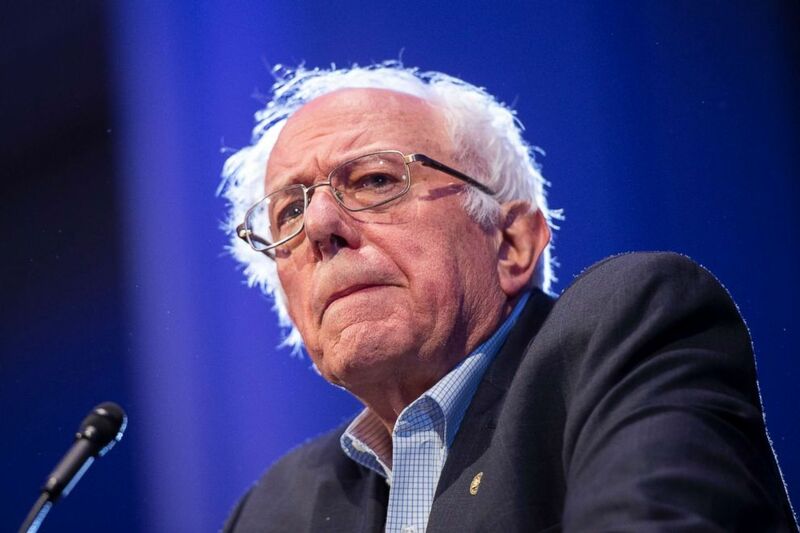 Of course, although progressives like Sanders also wanted to modify the trade agreement, that does not mean they will like the new version Trump comes up with. Democrats and labor unions have pushed for increased environmental and labor standards to be included and it's not clear if those are priorities for the president. (Jacob Hamilton/Ann Arbor News via AP) Sen. Bernie Sanders speaks in support of Abdul El-Sayed at a Get Out The Vote rally for Michigan Democratic gubernatorial candidate Abdul El-Sayed at Cobo Center in Detroit, Aug. 5, 2018. Nonetheless, this week, with so much other news swirling, it would be easy to dismiss Trump's work on trade as a deliberate White House effort to distract from the headlines. But it's a cause that might resonate with a huge swath of voters, especially those frustrated by a decline in domestic manufacturing. A new deal could be, among other things, a real political win for the president. The Texas GOP is bringing memes into one of this cycle's most anticipated Senate matchups. After O'Rourke addressed his 1998 arrest for drunk driving in an op-ed proposing a plan to reform the criminal justice system, the Texas GOP trolled him, tweeting out O'Rourke's mugshot Monday overlaid with the words: "Sorry. Can't debate. Had a little too much to drink." The Texas GOP also tweeted out an old photo of O'Rourke from his punk rock band days with "Sorry, can't debate. We have a gig." written over the photo. Cruz strategist Jeff Roe then tweeted that the photo is embarrassing because O'Rourke is wearing a dress. 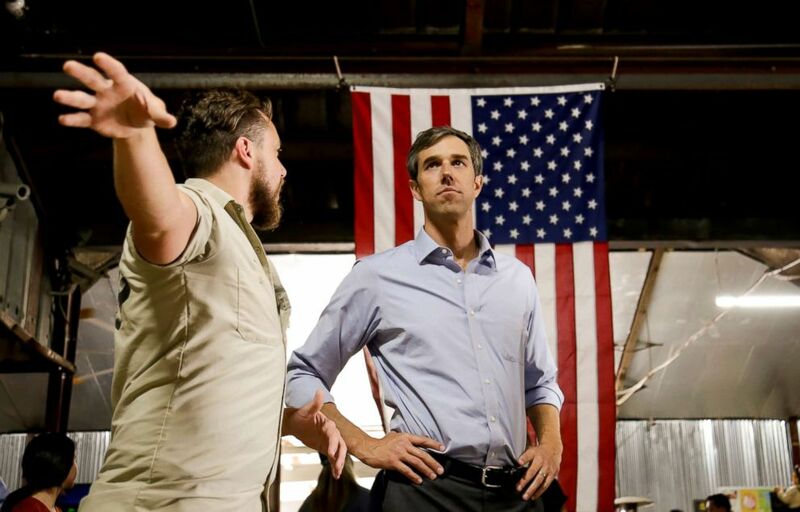 The episode shows the GOP's broader strategy as it tries to paint O'Rourke as too liberal for the generally conservative Texas electorate. That strategy has kept Republicans in power in the state, but it's one that, this cycle, will be put to the test. (William Philpott/Reuters) Representative Beto O'Rourke (D-TX) campaigns in Houston, Texas, Nov. 11, 2017. Sen. John McCain's memorial service begins at 1 p.m. EDT in Phoenix, Arizona. Two of McCain's children and former Vice President Joe Biden pay tribute, among others. McCain's casket departs Arizona and arrives at Joint Base Andrews around 7:30 p.m. He lies in state at the U.S. Capitol on Friday. President Trump travels to Indiana this evening for a campaign rally in Evansville, a city located just between St. Louis, Missouri, and Louisville, Kentucky. Vice President Mike Pence makes remarks at the at the 100th anniversary of the American Legion, a U.S. veterans organization, in Minneapolis, Minnesota at 11:30 a.m.
"No, I'm a Democrat. I ran as a Democrat, I am a Democrat. The values that I hold are consistent with the values of the Democratic Party. In fact I think they are the values shared by the majority of Floridians." – Tallahassee Mayor Andrew Gillum, the Democratic nominee for Florida governor, responding to President's Trump's tweet calling him "a failed Socialist Mayor." Gillum has been endorsed by Sen. Bernie Sanders.